Feverfew (Tanacetum Parthenium) is a popular herbal remedy commonly used by for the treatment of migraine. It is a perennial plant that belongs to the Daisy family. It grows in Europe, Canada, and North America. Feverfew has been used in the management of several disorders for centuries. It can help to relieve the attacks of migraine. It can also be used to treat joint disorders such as arthritis. Feverfew also offers a rich source of nutrients. It possesses potent medicinal properties, which help to enhance the health of a person and prevent diseases. The active compounds in Feverfew include Parthenolide. It also contains several other forms of sesquiterpene lactones. Parthenolide is responsible for most of the beneficial effects of this herb. It has the ability to specifically bind to a protein and inhibit its action thus preventing the body’s inflammatory processes. Feverfew can be used in the management of migraine. It can help to relieve the attacks of this disease in a safe manner. The use of Feverfew is also recommended for the patients who suffer from joint diseases like arthritis. It can reduce the symptoms of this disease and provide long-term relief. Feverfew is commonly used for obtaining relief from migraine. Migraine is characterized by a severe headache, which is often accompanied or preceded by the sensory warning signs like blind spots, flashes of light, tingling in the hands and legs, vomiting, and an increased sensitivity to sound and light. The excruciating pain caused due to a migraine may last for a few hours to even days. Feverfew can help to provide relief from the symptoms of a migraine. It reduces the frequency and the intensity of the attacks of this disease. It also takes care of the underlying factors responsible for causing migraine such as stress, dilation of the blood vessels in the head, and inflammation. How Does Feverfew Work in Migraine? Feverfew helps in treating migraine by acting as an anti-inflammatory agent. The primary ingredient in this herb, Parthenolide, helps to prevent inflammatory changes that are responsible for causing the attacks. It binds to a protein and inhibits it from causing inflammation, and dilation of the blood vessels. These properties of Feverfew help in controlling the attacks of migraine. It also acts as an antioxidant and reduces oxidative stress thus providing relief from the frequent attacks of this disease. The safety and efficacy of Feverfew in the management of migraine were assessed during research. The study was aimed at investigating the ability of this herb in preventing the attacks of this disease through the evidence provided by the rigorous clinical trials. The study focused on the randomized, double-blind, placebo-controlled trials conducted to evaluate the effect of Feverfew mono-preparations in the prevention of migraine. The data from these studies was extracted in a standardized, pre-defined fashion. The methodological quality of these trials was evaluated using the Jadad score. The use of Feverfew can be beneficial for the patients suffering from arthritis. This herb can protect the joint against inflammatory changes. It can reduce the symptoms of arthritis like pain in the joints, restricted movements, swelling in the joints, redness of the skin overlying the joint, and stiffness. It can be used to treat rheumatoid arthritis, osteoarthritis, and other joint conditions such as cervical spondylosis and low back pain. It can prevent damage to the joints caused due to the degenerative changes occurring as a result of advancing age. This action of Feverfew helps to prevent the worsening of the condition. It can enhance the range of movements of the joints and thus, allow a person to perform his or her routine activities easily. How Does Feverfew Work in arthritis? Feverfew possesses potent anti-inflammatory properties, which help to prevent swelling and damage to the joints. It also acts as an NFkappaB inhibitor. Parthenolide, which is one of the powerful sesquiterpense lactones, is responsible for the bioactive effects of Feverfew which help in reducing the symptoms of arthritis. Parthenolide inhibits the process of NFkappaB activation. This reduces the severity of the joint destruction and prevents the progress of arthritis. Additionally, Feverfew also acts as an antioxidant. It protects the joint tissues against the free radical damage. It prevents damage to the membranes lining the surfaces of the bones. This reduces friction between the ends of 2 bones at a place where they meet to form a joint. This helps to provide a long-term relief to the patients suffering from arthritis by allowing frictionless movements and reducing pain. Feverfew also has the ability to prevent degenerative changes in the body. It prevents the age-related wear and tear of the joint tissues. It helps to maintain the structural integrity of the joints even as the age of the person increases. 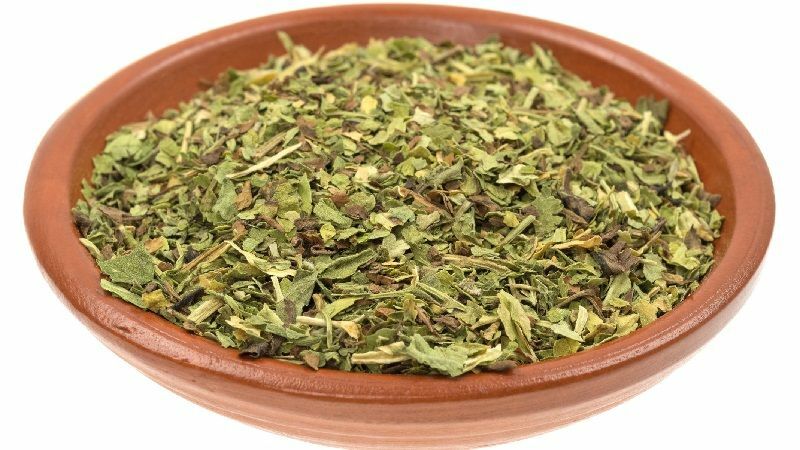 Hence, a regular use of this herb is highly recommended for the patients suffering from arthritis to prevent further progress of the disease and to help them perform their daily activities with ease. These effects of Feverfew can also be beneficial for the treatment of other degenerative joint diseases like lumbar spondylosis, cervical spondylosis. The application of Feverfew in the management of arthritis has been proved during research. The study was aimed at evaluating the effect of NFkappaB inhibitors on the joints affected by arthritis. The findings of this study showed that Parthenolide present in Feverfew could exert a significant inhibitory effect on the NFkappaB activation. It helped to block the action of NFkappaB thus preventing inflammation in the joints. 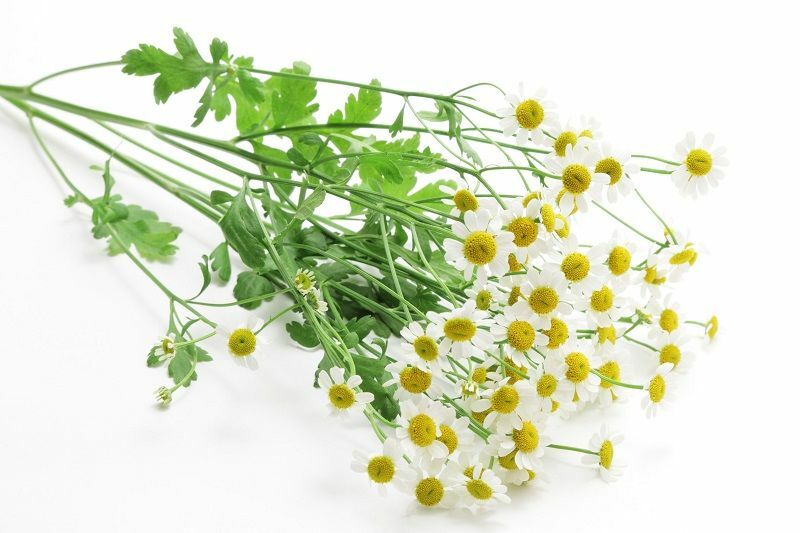 Feverfew (Tanacetum Parthenium) reduces skin inflammation and has demulcent action. It helps relieve dermatitis and improves the skin appearance.